Computer Programming For Children In Our Basic Schools How Relevant? The Government of Ghana through the Ministry of Education has developed a new curriculum for teaching and learning ICT subject at the basic school level across the country effective from 2019/2020 academic year. According to the new curriculum, the standards are organized at the KG1 – B6 phase under seven strands: Introduction to computing, Presentation, Word processing, Desktop Publishing, Programming and databases, Internet and social media, Health and safety in using ICT tools. Amongst these areas of focus, I would like to shift much emphasis on the following; Programming and database. According to the curriculum, the children will be studying the following topics under the programming and databases; Introduction to databases, algorithm, and programming. The main role of the educational system is to teach children how to become responsible, productive citizens of society. Schools offer a variety of subjects to equip kids with the skills and knowledge needed for adulthood – starting from kindergarten, where children learn the basics of writing, reading, and simple math and logical problems. These classes are designed as the ‘building blocks’ of knowledge. There are new blocks in education with every consecutive year. When we talk about computer-related knowledge, one of the most important classes in schools is typing class. By learning to touch-type, children get used to the visual environment and improve their typewriting speed. Although the typewriter is outdated, keyboards and typing remain relevant today, particularly when entering data or programming devices. One might say that kids intuitively acquire knowledge about information technology and its usage. They start touching keyboards and screens at a young age, and quickly learn how to navigate the Internet. But what about coding? Should our kids also learn how to code? Fundamentally understanding these new technologies—how they operate and how to customize them for better functionality—would improve kids’ experience with today’s digital devices. Introductory programming classes in schools can help children understand the basics of programming structure, logic, and design. Of course, not all children will become software engineers; however, learning programming may help sharpen their practical and logical thinking skills. What’s more, some people found coding helped them get more out of their computers, tablets, smartphones, and other popular digital devices. There are a lot of possibilities for a child that knows how to code, and the most important skill they acquire along the way is that they learn how to create their own solutions. Many would argue that it is hard for children to learn to code, but there are a number of applications and games designed specifically for that. Additionally, learning to code is the same as learning new language skill, especially for the children. Since we are living in a digital age, technology plays a huge role in our daily lives. Smart devices are all around us—at home, school, the office, and so on. Although we use these devices every day, we typically only use them for basic functions, such as text messaging, phone calls, entertainment, music, etc. When software and hardware designers make devices or apps, they usually add a lot of functions and features that most customers barely use. Mobile technology is developing rapidly, so the cell phones in our hands act as small personal computers with a broad range of tasks. Even TVs and other home appliances have become multifunctional devices. Did you know that coding is a background for many of these devices? Unfortunately, most of us are unaware of the importance of coding. By teaching people how to create software codes that run devices, they will better understand how these devices actually work. Aside from that, coding classes can help students realize how applications are designed, as well as how the software triggers the device capabilities. That’s why coding should be a compulsory subject for students in the future. Most experts emphasize the importance of introducing coding into the school systems. 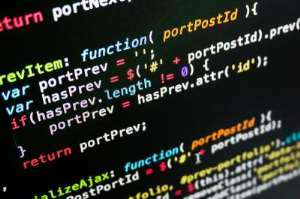 According to Douglas Rushkoff from Codecademy, who is considered to be one of the world’s leading digital experts, schools have to incorporate code programming into their curriculum. By teaching students to code, we will create more future software and hardware engineers and meet the high demand for skilled tech workers. Schools must recognize that both technology-related devices and coding are integral parts of our lifestyles. They should incorporate coding into their curriculum as a building block, to help kids not only understand how the technology works and how to utilize its potential but to possibly get them interested in a future career in digital technology. “Coding is not just about creating software. It’s about computational thinking,” explains Gillian Hayes, who has a PhD in computer science and volunteers to teach kids the subject. “Thinking computationally is a benefit to our logic and philosophy skills as well as more traditional STEM (Science, Technology, Engineering, and Math) oriented concerns.” There is a direct link between the computing required to code and the computing required in a child’s science and math classes. Reading comprehension and computer science may not seem related on the surface, especially when you are battling your little ones to put down the tablet and get their nose in a book. But the sequential thinking involved in coding can actually contribute to improved reading comprehension. The ability to order events in a text relates to the skill of the chronological sequencing required in writing code. So, you can rest assured that even if your little one doesn’t grow up to be a computer programmer, exposing them to coding is still benefiting their overall development. Coding teaches kids to break down complex problems into components. This problem-solving technique is transferable to a lot of other fields. For example, scientists solve problems by forming hypotheses and systematically testing these hypotheses one by one. Car mechanics diagnose car problems by replacing one part at a time to isolate the problem part. In coding, a programmer figures out bugs by generating intelligent hypotheses and tweaking parts of his code one component at a time to test which one solves the problem. In programming, kids learn how to “handle errors”, that is, anticipate problems that will probably emerge, and writing the correct codes that will prevent the entire program to crash when the error happens. Algorithmic thinking is the ability to define clear steps to solve a problem or solving a task. It involves computational concepts like repetition, sequencing, and conditional logic. Kids use algorithm all the time, without even knowing it, especially with math (like solving long division problems) and science. Algorithmic thinking enables kids to break down problems and think of solutions as a step-by-step procedure. Robots like Sphero make it easy to direct their cute little robot ball around a room then graduate to programming the robot. Computational thinking projects also have a few projects where basic programming in Python is useful for more advanced projects. From a simple use of coding, kids also can gravitate to programming languages geared towards kids and education or languages like Python. For example, there is at least one ebook online on how to teach basic Python to kids. They learn not only a small bit of the language but, more importantly, they learn programming concepts. Languages geared towards kids tend to use the Logo language, where kids enter basic directions and an avatar (often a turtle) follows the directions on the screen, or they use a block language like Scratch, Alice, Tynker, and several others. These languages make it easy for kids to focus on what the language does and less on the specific syntax. In contrast, when adults use a programming language, syntax and structure are critical and what a bit of code does is slightly less important. While parents and educators might have mixed feelings about their kids being lost for hours in video games, some games can lead to programming. Minecraft can be put on the Raspberry Pi, a hand-sized computer designed to help kids get into hardware and software projects. Skyrim and other games make it somewhat easy for older kids to research then code modifications to make the game even more fun. However, the government through the ministry of Education can find local programming groups like Djongo, coding hackathons, etc. where kids from different schools can work together on computing projects. It’s a structured way to relax and have fun with technology while engaging other people. Technology is a social activity, not strictly solo. You also learn more by sharing and debating. The earlier we introduce coding to children, the more comfortable they will become with computers and technology and the more successful they will become when presented with more challenging learning opportunities. Children are extremely eager to learn how to code. Just like learning a foreign language, the language of coding should begin early with vocabulary terms such as program, sequence, and algorithm. Developing the basics provides students with the computer skills they will need for any career they choose in the future. Bottom line, though, and this is true of any subject, and the government must be congratulated for coming with such initiative, it is important that government must make sure that computers are been made available especially to the rural communities and possibly internet accessibility to aid teaching and learning of the subject. Programming and computer science can be fascinating and absorbing. This author has authored 2 publications on Modern Ghana.